Effective April 16, 2017, Ukraine is offering visa-on-arrival travel to 19 nations around the world, reflecting an openness to a wealth of cultures and people. The visa-waiver agreements come as Ukraine itself is on the cusp of securing visa-free travel with the EU, a development set to come into effect at the end of the month. Allowing more people easier access to Ukraine will hopefully boost the country’s economy, as will its access to the EU. The full list of countries with VoA access to Ukraine is as follows: Bahrain, Dominica, Grenada, Guatemala, Honduras, Kuwait, Malaysia, Mexico, Micronesia, Oman, Peru, Qatar, Samoa, Saudi Arabia, Singapore, St. Vincent and the Grenadines, Timor-Leste, Tuvalu, Vanuatu. In addition, Ukraine’s visa agreements with these countries have the added benefit of increasing their visa-free scores. 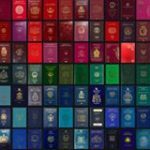 This has been a major development for Singapore, which has been boosted to the top spot alongside Germany in the Global Passport Power Rank 2017.